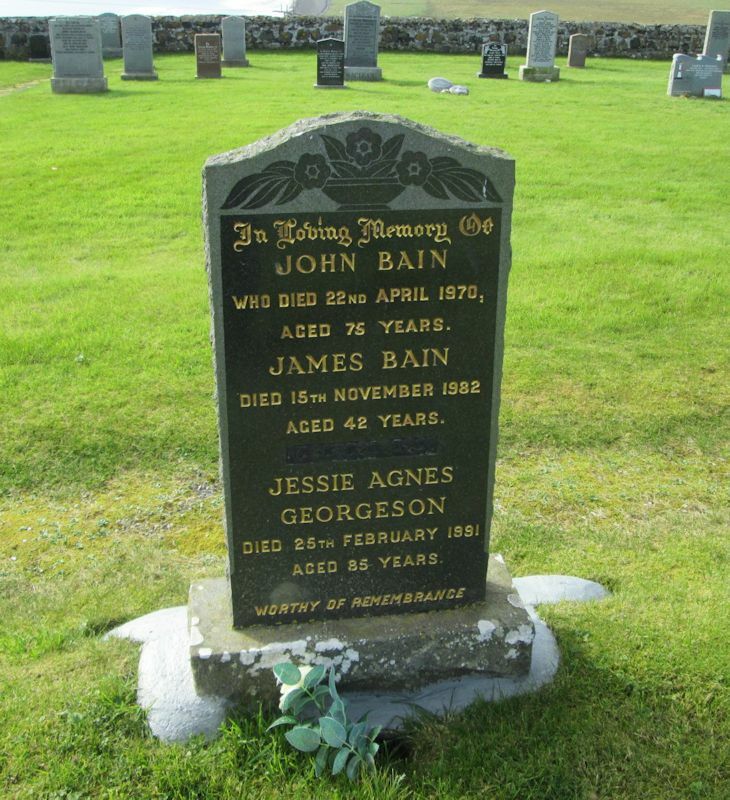 Skye Gravestones | John & James Bain. Jessie Georgeson. John & James Bain. Jessie Georgeson. In loving memory of/JOHN BAIN/who died 22nd April 1970/aged 75 years/JAMES BAIN/died 15th November 1982/aged 42 years/JESSIE AGNES/GEORGESON/died 25th February 1991/aged 85 years.